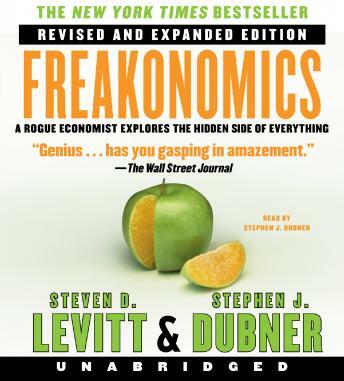 Listen to "Freakonomics Rev Ed" on your iOS and Android device. Some interesting insights, but mostly long pseudoscientific explanations, which are narrated in a bit \'exaggerating-style\' (American? ). Feels like this is to compensate for the relatively summier content. Loved this book great way if looking at things! It can be boring at times, but over all very interesting. It looks at odd statistics, data, and patterns. To me, some of the subjects were interesting and some were not. I think this might be better to read than to listen to as an audiobook. Makes for great discussions as a book club.